Jenny and Columbo's big day has finally arrived. But in Santa Monica de la Punta Gorda, nothing ever goes as planned. A series of comical accidents and miscommunications delay the ceremony and the wedding party retells stories of how this wedding almost never came to be. Be a part of the celebration, you may just get a chance to join the wedding party on stage! This is a family-friendly, Spanglish (English & Spanish) production. Be a part of the celebration, you may just get a chance to join the wedding party on stage! 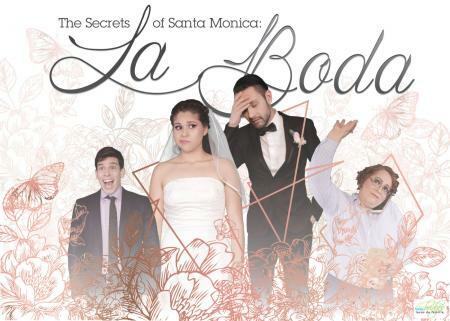 This theater production is proudly written and produced by Latinos and features original music and choreography. It contains drama, romance, comedy, dance, and lots of audience interaction. And the best part? All proceeds are reinvested into the Chicagoland community to provide services for low-income, minority families. This is a family-friendly, Spanglish (English & Spanish) production. Get your tickets for only $25 at laboda.eventbrite.com or call 708-524-1600.